Not the patch you were expecting? 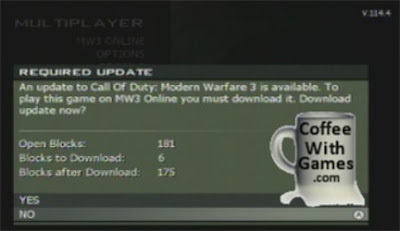 Modern Warfare 3 has been out less than a month, and Infinity Ward/Treyarch have been busy trying to make sure the game is running well for all console owners. Last week I posted how Call of Duty: Modern Warfare 3 had been patched on the Wii, and the first patch addressed two major issues players were experiencing: corrupt save files and lag shooting. 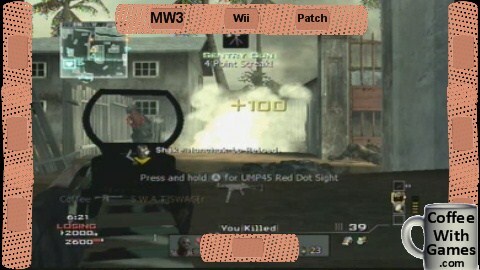 Well, Activision/Infinity Ward/Treyarch just released another patch for Modern Warfare 3 on the Wii. 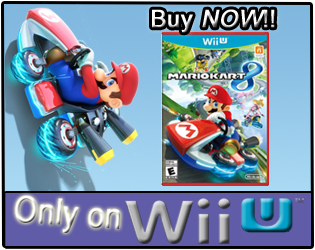 How big is the patch, and exactly what "major fixes" does this Wii patch address? Take a look! Call of Duty: Modern Warfare 3's latest Wii patch only requires 6 blocks of room, now making the required space for the two Modern Warfare 3 Wii patches 46 total blocks. "MP - Major optimization work to improve host frame-rate issues ("host-lag")"
"Spec Ops - Major optimization improvement to help with reports of spec ops 'rubberbanding/lag'"
"Added 'Add Friend' option in the multiplayer shell when selecting a player's playercard"
I am very encouraged to see Modern Warfare 3 on the Wii getting patched, and not ignored. The fact that Activision is allowing Infinity Ward/Treyach time to work on patches for the Wii version, I think shows great respect to Wii owners that purchased the game. Not only will the game hopefully continue to improve with each patch, but hopefully word-of-mouth will spread that Activision is not ignoring the Wii version, allowing Modern Warfare 3's Wii online community to grow stronger. My online friend code for Modern Warfare 3 is 0359-9573-5494. If you add me, feel free to leave your ally code in the comments below, or by emailing it to me at Scott@CoffeeWithGames.com. Have any of you been playing Modern Warfare 3 on the Wii? If so, have you downloaded both patches for the game, and noticed an improvement in performance? That is very encouraging to see patches on the Wii and that they aren't taking up very much space considering how precious a resource it is.. Certainly would be cool if other games did the same even if they don't have any/heavy multi-player features. Well, I think the game has to be programmed with patching in mind. When Metroid: Other M released, it had a game-breaking glitch that Nintendo could not patch via an update, because the game wasn't programmed for it I guess. 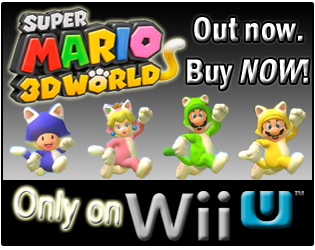 Nintendo's solution? Mail Wii owners an SD card with the "patch" to fix it. Now, Skyward Sword is said to have a game-breaking glitch, and Nintendo is fully aware of it and they are even acknowledging it now, which is what I believe Richard is referencing. If I were a betting man, I would bet that Nintendo did not release Skyward Sword with the ability to be patched...so, Wii owners will have to be made aware of how to avoid the glitch, instead of Nintendo being able to patch it. I just don't see it happening, first Metroid: Other M, now Skyward Sword...I hope I'm wrong though, as I don't think all Nintendo fans visit video game sites daily, so they may miss the news and hit the game-breaking glitch. @Coffee: I'm not aware of the specifics, but I think you're right. It probably has to know to look for patch blocks so it can read and load them over programs or data that are read from the disc. Still a shame that others have exhibited this functionality, but nintendo is not building this into their games. Though that does open the door for a completely separate discussion of build quality/QA when you can't patch with the thought of more effort going into squashing bugs. That's not to say they didn't put the effort in, but having this logic built into the disc would be a prudent measure "just incase". "Still a shame that others have exhibited this functionality, but nintendo is not building this into their games. Though that does open the door for a completely separate discussion of build quality/QA when you can't patch with the thought of more effort going into squashing bugs." Yea, the fact they worked on this game for 5 years (if not longer), and it was their big 2011 release...how in the world this type of thing can happen really baffles me. Work on a game for 5 years, it's the big 2011 holiday release...yet a glitch is discovered by some players within a week or so of its release? when will the next patch be?